When investing in land, you want to have an agent who knows the market, as with any real estate purchase, but it’s also significant in this case for the agent to know the land. The Mountain Group at Premier Sotheby’s International Realty undoubtedly knows the industry. Our experienced team also knows the local market with a passion. Last but not least, we know the land of Blowing Rock. We sell it, buy it, work on it, play on it, and live on it. Better yet, we have what it takes to help you own it. Are you looking for a place to build a family home, develop a horse farm, or simply have room to play? Whatever your intended use, you’ll discover the property that fits your needs on our site. 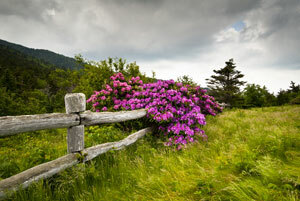 We feature wooded lots, rolling pastures, and tracts of land across the beautiful High Country of NC. Browse the comprehensive list of real estate or narrow your search according to your preferences. The land of Blowing Rock makes for a picturesque setting, no matter where you are – from a secluded mountain peak to the center of the village. Our region is blessed with four distinct seasons, as well, that complement the captivating landscapes. Much of the lifestyle in this area is inspired by the outdoors and the recreation it affords. From hiking to golfing, white water rafting to snow skiing, and biking to camping, our land is what cultivates these cherished activities. Visitors and residents alike enjoy the many outdoor opportunities Blowing Rock brings, and you’re bound to do the same, no matter your interests. 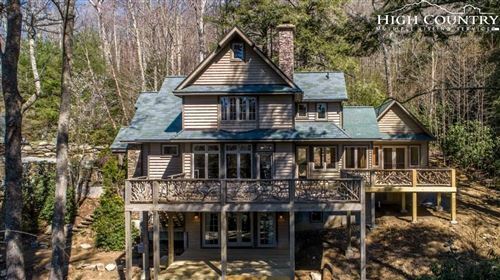 Whether you vacationed here as a child and are pursuing a piece of land to regain the fun you once had or are searching for a priceless investment, The Mountain Group at Premier Sotheby’s International Realty is ready to take you on a tour of the land for sale in Blowing Rock and beyond.